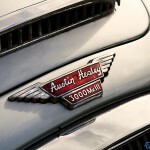 Austin-Healey 3000 owner story – what is it like to own and drive a classic early-sixties Austin-Healey 3000 sports car? 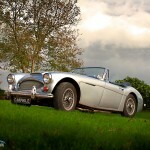 As part of carphile.co.uk’s Owners View series, a Austin-Healey 3000 owner tells us what appealed to him about his classic British Sports car. 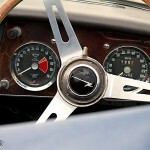 What it’s like to drive and what is great about owning these classic Austin-Healey cars. The owner of the Austin-Healey 3000 Mk3 in our feature has been a lifelong car fan and owns a number of beautiful classic cars. 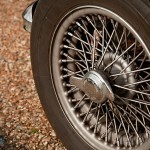 But while others have come and gone, this big Healey has remained in his garage for nearly 40 years. 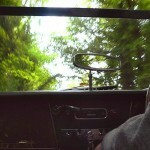 Proof that when you’re bitten by the Healey bug it’s near-impossible to shake. 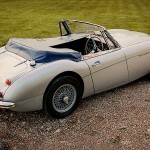 This Austin-Healey 3000 and I have been through a lot together. In the last 40 years it’s been completely reliable, well it once let me down (petrol pump – fixed with a hammer), it’s warm, dry, is good in modern traffic in that it cruises happily at 80mph and the servo-assisted brakes are good. See our Austin-Healey 3000 Mk3 gallery for more pictures or watch this big Healey’s 2192cc straight-six engine starting up.